Improve physical, emotional, mental, and spiritual balance and wellness. Increase relaxation, reduce or eliminate stress and improve sleep. Provide comfort and pain reduction/elimination management. Promote the body’s ability to heal (boosting immunity), including mild to acute and chronic ailments. Aid in pre-surgery prep, improve the process of surgery and post-surgery accelerated recovery. Assist palliative care patients (and their family members) through the months, weeks and days of their transition process. Help release past traumatic memories and PTSD. Accelerate the healing of infections, broken bones, any cuts, wounds or burns. Pre & post-natal procedures and care. Strengthening relationships and/or releasing bad relationships. Excellent for all animals and plants, too! 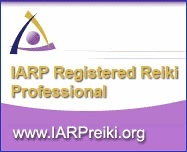 Reiki is used in many hospitals, nursing homes and hospices in the US and other countries. Reiki easily compliments medical and / or therapeutic techniques to relieve side effects, aid pain management and promote the body’s healing process. a replacement for modern medicine or therapies. a "cure all", although occassionally "miracles" do happen for some, after receiving a Reiki session. only for the practitioner to provide to the client. Reiki is a "team" effort to work on the balance, recovery and wellness of the client. Studies have shown that the SQUID (Super-Conducting Quantum Interference Device) can measure the Human Energy Field and the Reiki energy coming from the Reiki practitioner. Are you already a Health Care Provider or Wellness Practitioner? By becoming a Reiki Practitioner, it has been often found that Reiki can enhance your abilities (with any job or hobby, actually!) and can increase your success in the field which you specialize in. Or, with the help of your daily self-Reiki, you will be led to the career and/or hobby for which will cause your heart to soar. Reiki’s origins date back, possibly, over three thousand years ago to the Tibetan culture. Some believe that it may have started during the Egyptian times, over six thousand years ago. Reiki was "re-discovered" by Dr. Mikao Usui, a Japanese educator, in the late 1800's. Dr. Usui developed The Reiki "Usui" System, which is what Reiki practitioners use in modern day. “Reiki” is a Japanese word, representing Universal Life Force Energy, which is the energy all around us. “Rei” means God’s Wisdom or Higher Power, “Ki” means the Life Force Energy. It is viewed as an unconditional loving source of energy which can be very healing on one or many levels of a person or animal's existence. It can also be explained from a Religious, Spiritual, Scientific and Metaphysical perspective. Through Reiki training, a person becomes attuned to becoming a "conduit" for the Reiki energy to flow. It flows in one direction, which means that most of the time, the practitioner does not absorb any energy back from the client, nor does it drain any of the practitioner's energy, because Reiki does not take energy from a person, it gives. Reiki is not a religion, but it does encompasses all belief and non- belief systems. It does not discriminate against any living being. Most people are born with the innate gift of "healing", but do not realize it! Those that do become aware of it, will find or be led to, a healing modality, a religion or spiritual practice to grow and expand upon. Reiki is one of the many tools which one can be used to utilize this gift. One of the many amazing things about Reiki is there are virtually no rules or special equipment needed in order to use it. Reiki it is not a demanding and stern practice. Many people believe that it comes from a spirit of light, love, peace and joy. One of the most important heartfelt thoughts, which is needed on some level of a person's consciousness, is having the intention of using Reiki for the greater good for one's self and other living beings. A common question is if a person has to believe in Reiki for it to work? Interestingly enough, the answer is actually, "no". Just having the open mind to try it, is enough all by itself! Peaceful lotus flowers of Texas. Courtesy of VJF.